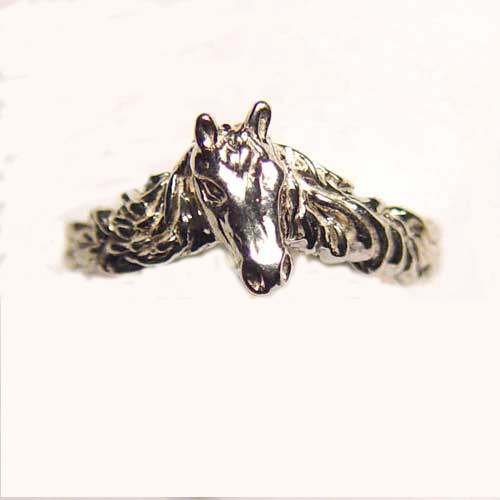 Desc: Sterling silver small horse head ring. The horse head is in the center with the mane flowing on either side. The ring is textured and has a bright polish finish.